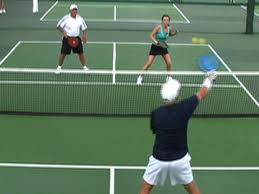 The City of Aiken Parks, Recreation and Tourism Department is offering a pickleball session on Monday November 5, 2012. 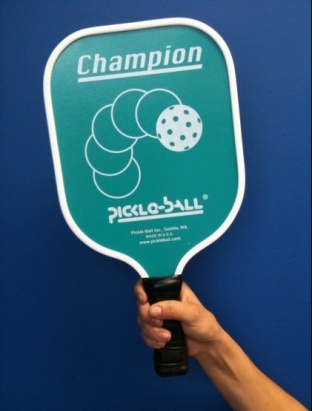 Pickleball, named after one of the co-founder’s cocker spaniel Pickles, is a game played with a perforated plastic ball and wood or composite paddles on a court similar to badminton. The class will teach the rules of the game as well as offer som additional pointers. For more information, call PRT at 642-7631 or Loretta and Mike Beckner at (703) 732-3075. For more on the game itself, visit www.usapa.org or www.south.usapa.org. 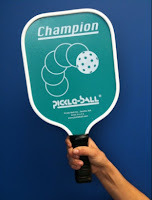 Pickleball is a combination of tennis, badminton, and ping pong and it’s one of the fastest growing sports in America. It may be a silly name, but it’s a serious sport. It’s fast paced and easy to learn, great exercise and lots of fun. Good for all ages …. Come see what the excitement is about! Free instruction: come learn from current players of the game. We have all the equipment you need. Just bring yourself.